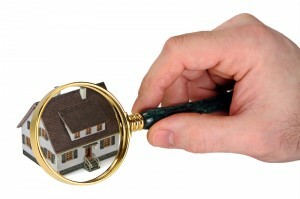 Getting your home appraised can often be a nerve-wracking experience. Your home and your handy work will be on display to be judged and valued so that you can move forward with selling your home. But it doesn’t have to be a stressful experience. With the right tools, tricks and savvy, the appraisal process can not only go smoothly, it can also help you make a giant financial leap toward a future in a new home. “Just like anything else — for example, if you’re going to select a doctor, dentist, or lawyer — you do your homework to find out the appraiser’s market knowledge of the area,” says Rick Singh, a property appraiser in Orange County, FL. Ideally, your appraiser will be a local who knows the area well and who has been around long enough to see changes in the market. It’s also crucial to hire an appraiser who is state certified. Whether it’s a loose shingle, chipped paint or dirty carpet, be sure to take care of it before the appraiser comes. Anything obvious that needs work could potentially eat away at your home’s value. Also, keep a list of maintenance work that has been done on the home. Have a running list of what you have fixed and upgraded in your home as well as the amount of money you have spent. When you’re getting your home appraised, remember that your house should look like the nicest one on the block. Do you have a dishwasher that only works when you give it a little kick, or a refrigerator that doesn’t keep your food as cool as it used to? These malfunctioning big-ticket items in a home could be a huge disadvantage to your home’s appraisal value. Although your home isn’t necessarily valued on the interior decor, it doesn’t hurt to show that it’s well cared for. This doesn’t necessarily mean you have to trade in your T.J.Maxx finds for a pricey interior makeover, but make sure your home is neat, tidy, and exhibits that you generally have an interest in keeping your home looking its best. Before you get your home appraised, be sure you know what comparable nearby homes are going for, because that can be a huge predictor of your home’s value. Also, inform your appraiser of any extraordinary circumstances, like if someone in your neighborhood had to sell their home quickly. Sellers may have to lower the price of their home to get out in a timely fashion in the event of death or job relocation in another state. It’s extremely important that both you and your appraiser are knowledgeable about your neighborhood to get as accurate a value as possible. When you make improvements to your home, you hope that everything you’re upgrading will increase your property value — but this isn’t always the case. “Sellers may think, ‘I spent $60,000 on my home and $20,000 on the pool, so the home should be worth $80,000 more.’ However, the market may say it’s only worth $5,000 more. Find out what the economic investment is, because the rate of return is so important,” Singh says. If you’re dissatisfied with the appraisal value, Singh advises contacting the appraiser about your concerns. Make sure you have data to back up your claims when you call to voice your opinion.